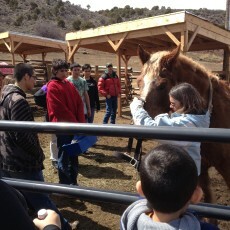 Completing the Circle of GivingThe people heal the horses, then the horses heal the people. 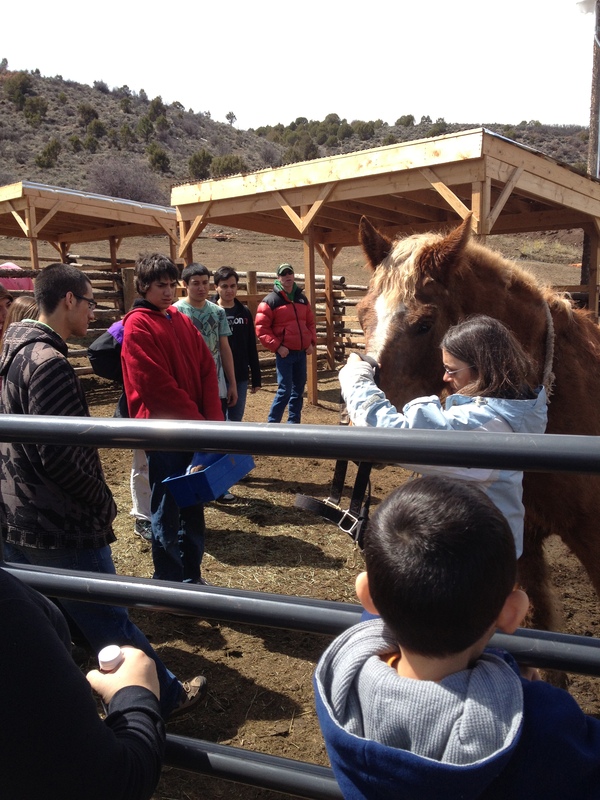 Destination Rescue was originally created in January, 2012, based in Eagle, Colorado, as a cooperative project which Alecz Adams conceived and began with Mountain Valley Horse Rescue. Since that time, its success and notoriety has continued to climb in leaps and bounds, and it soon became clear that this program can reach across and offer successes to all animals rescues, not just horse rescues. At Destination Rescue, we offer a new way for animal rescues to gain funding, and a place of honor within their communities. The objective of Destination Rescue is to bring people into the Circle of Giving. The Circle begins when people come, and are of service to these needy animals. The group is then expertly guided into experiences of feeling more relaxed, confident, and connected to the world around them. The Circle completes as participants return the healing that they have received from these Rescue animals, helping the creatures to heal even more. This site is to introduce the idea of Rescue Animals giving back to the people of their communities. Many rescues do already have wonderful programs for people. Now, through a very simple series of actions, your own local rescue can become more strongly interwoven in the community, giving back to the local people with animal therapy. By doing so, each rescue creates a need for itself, and locals will want the rescue to succeed, because they see that with this program, the rescue serves the community, in many ways, rather than depleting it. Alecz Adams has been working professionally with horses for over 30 years. On the West Coast, Alecz was a successful competition and professional rider in a variety of disciplines: Hunters, Jumpers, Eventing, Reining, Trail, English Equitation, Western Pleasure, and many Gymkhana Events. Alecz is also trained in vaulting, polo and high levels of Dressage. Alecz arrived in Colorado in 1995 and expanded her training programs to include the Rocky Mountain experience – particularly the amazing winters, Endurance Riding, and natural, native techniques. After years of working with Shamanic practices, in 2008 Alecz became a Certified Hypnotherapist, and shortly thereafter a DH Method Practitioner. All of this came together into the development of the unique program that has now come to be known as Equulinguistics.